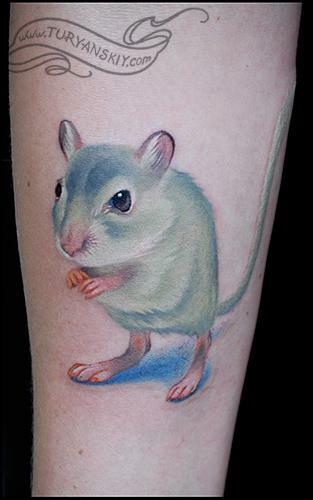 Color realistic mouse tattoo. Took me about 2 hours to complete. 2011.